Fifth Arrow is a restaurant, cocktail bar, bowling alley and gaming parlor in Union Square, San Francisco — adjacent to August Hall. Home to the Unofficial Best Pizza in San Francisco. Bowling lane reservations are available in 55, 110, or 165 minute increments. 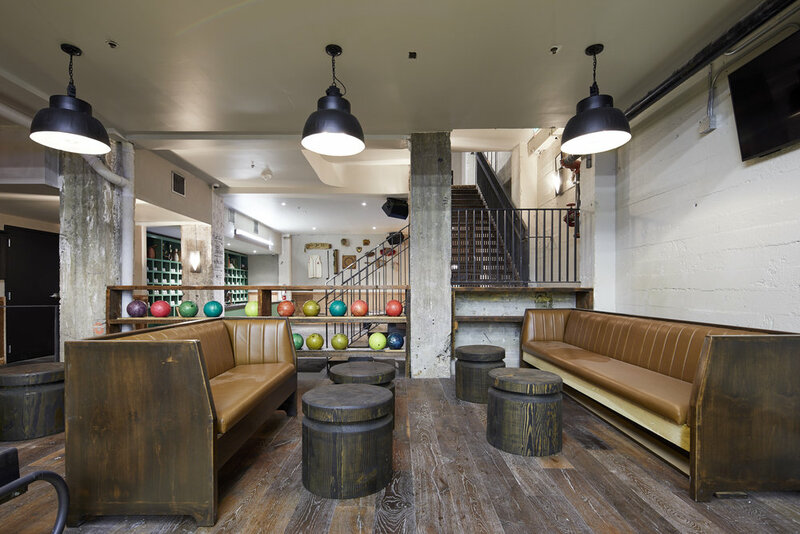 Full service is provided, and the entire food & drink menu is available for you to enjoy at the lanes.